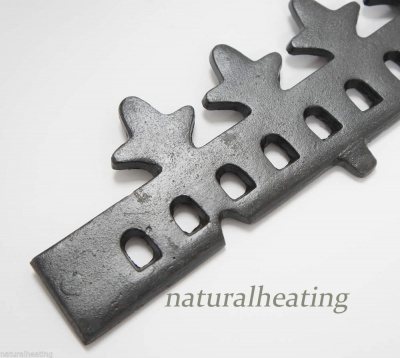 This cast iron part is put in the stove with the coal grate removed and wood is burned on a bed of ash or sand (at least 1" thick) on the base of the stove. The retainer bar is there to stop logs rolling out. 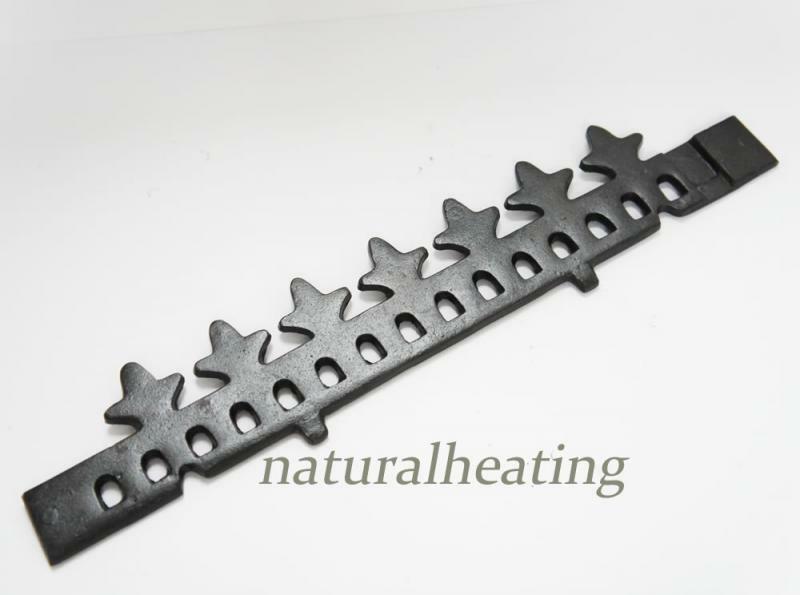 Please remember that all new cast iron parts require seasoning - as you would with a new stove. 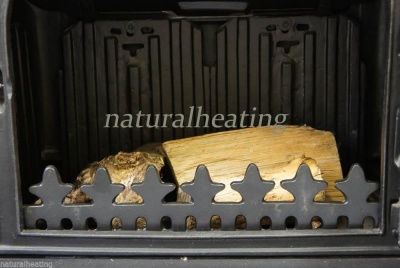 For burning solid fuel, it sits on top of the coal grate. 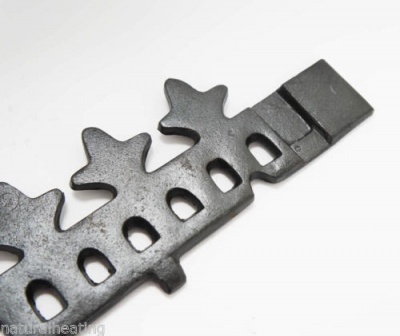 Coal grates, baffles and lining panels are classed as consumable spare parts.